It's finally out! 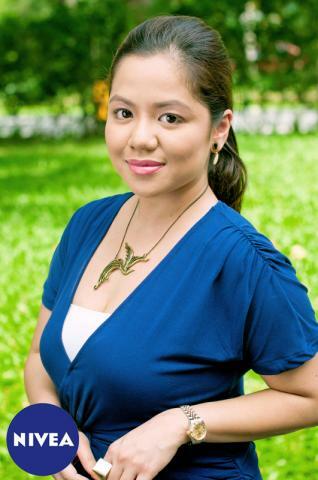 I'm one of the Fun, Fearless and Fair Females of Nivea Extra Whitening line! 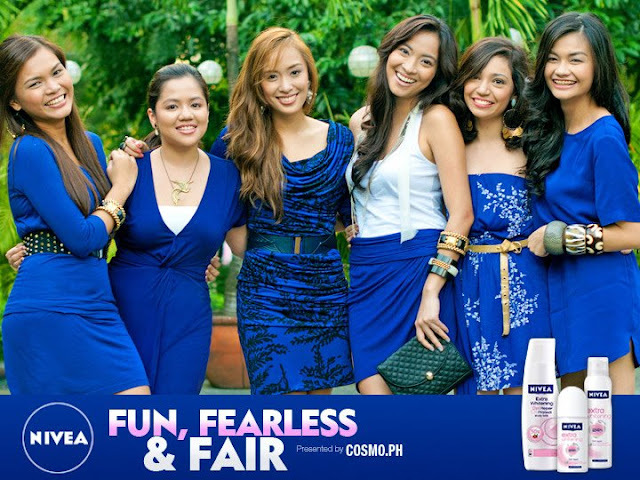 I've always wanted to be called a fun, fearless female the moment I first laid eyes and read a Cosmopolitan magazine. And now, I am!! But add Fair to the equation made me feel as if all the challenges and surviving those years of judgement and self-doubt finally paid off! I use to be very self-conscious, worried about judging eyes and those who continuously see me in the baddest of lights. I thought that this "addiction" for beauty skincare and makeup made me materialistic, vain and worry only about outside appearances as I've been told by others. I was judged "maarte" and "kikay". I still get conscious, I still go under self-pity mode and dissect my every little insecurities... But knowing what I can have every time I conquer them, made overcoming them something that I need to take seriously. Looking at this, I know I did good.. And if only my mom can see me now. I'd tell her that every bottle of Nivea lotion she bought was worth it! Another great thing about being Fun, Fearless and Fair is that you attract positive vibes and you get to meet cool new people. I can't believe I'd be among the loveliest and sexiest of beauty and fashion blogging. There's Martha of TheBeautyJunkee, Lissa of SceneStealer, Jackie of GoJackieGo.com, Alyssa of AlyssaLapid.com and Vern of AShoeTale. These girls embody what every girl should strive for... confident, educated, mature, beautiful and a great style to boot. Being a part of this campaign shows that an ordinary girl like me can truly be Fun, Fearless and Fair if only we see ourselves in better light. We only live once... why not take more chances, right? Thanks, Nivea, for this opportunity. I super enjoyed this day!! Dear God, thanks for everything! Thanks for making me feel how important I am to You. What about you, ladies? What makes you Fun, Fearless and Fair? Wow, congrats Ms. Shen! so happy for you, what a very inspiring words from you! 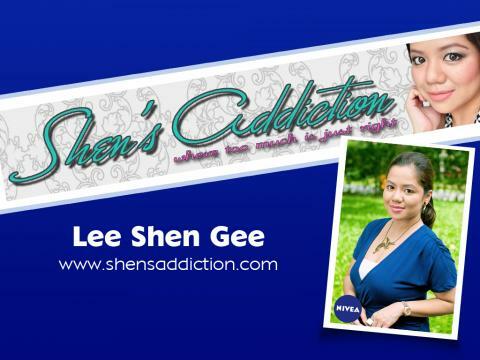 congrats shen :) shensaddiction is the first ever blog ive read...!!! more blessings to come and more power!!! Congratulations Shenny!!!! :) Bagay sayo yung outfit and makeup , everything is just fun and fearless! Wow, this is the first time I heard your voice Ms. Shen! And you sounded so elegant and confident! Plus I didn't know you went to law school... Hehe... Congratulations again!